Students, alumni and fans of America's Historically Black Colleges and Universities (HBCU) cast their votes online and took to social media to help their favorite marching bands advance to the 13th annual Honda Battle of the Bands Invitational Showcase. The final eight bands have been selected and will take the Georgia Dome by storm on January 24, 2015, when they showcase their incredible musical talent and electrifying showmanship in front of a packed crowd in Atlanta, GA.
Tickets to the Honda Battle of the Bands are available for purchase now on the official website, starting at just $10. The participating eight HBCUs will receive a $20,000 grant from Honda to support their music education programs, plus travel to and accommodations in Atlanta for the Invitational Showcase. The final eight were selected through a process that included online fan voting, as well as feedback from band directors, HBCU school presidents and representatives from American Honda. This year's theme, "March On," serves as a reminder to students and fans that life on and off the field is a journey, and no matter the challenge, the dream or what may lie ahead, learning never stops as long as you commit to "March On." "Honda congratulates the eight bands selected to participate in the Invitational Showcase and thanks all of the schools, students, alumni and fans that participated in the process leading to Atlanta," said Stephan Morikawa, Assistant Vice President, Corporate Community Relations, American Honda Motor Co., Inc. "Honda is committed to supporting education at HBCUs by investing in their programs and providing a platform aimed at helping students realize what Honda calls The Power of Dreams." The 2015 Invitational Showcase will feature the first-ever Honda Battle of the Bands Power of Dreams Award. Participating teams and fans will have the opportunity to nominate an outstanding member of their community who is working to help students achieve their dreams. Honda will then select a winner who will be recognized in Atlanta at the 2015 Honda Battle of the Bands Invitational Showcase. 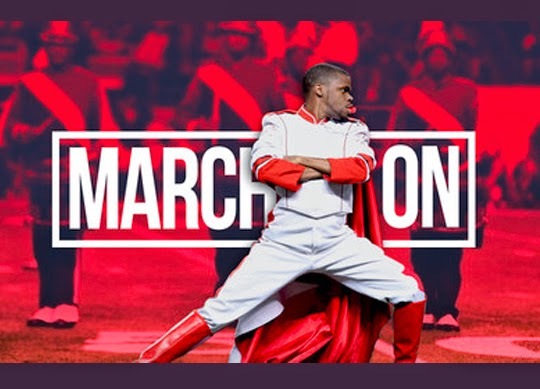 For updates, follow the Honda Battle of the Bands and join the social media conversation using #HBOB. For more information on the 2015 Honda Battle of the Bands, visit HondaBattleoftheBands.com. Honda's long-standing commitment to the support and success of the nation's Historically Black Colleges and Universities (HBCU) began more than 20 years ago with the establishment of the Honda Campus All-Star Challenge, a program designed to showcase the academic gifts and prowess of HBCU students. American Honda began its support of Honda Battle of the Bands more than 12 years ago as an effort to support HBCU music programs. Honda seeks to be a company that society wants to exist, creating products and technologies that improve the lives of people while minimizing the environmental impacts of its products and business operations to ensure a sustainable future for society. Honda is also committed to making positive contributions to the communities where we do business, to socially responsible business practices and to the promotion of diversity in our workforce. From our involvement in STEM education and HBCUs to our support of pediatric brain tumor research, and support of volunteer efforts by Honda associates, including environmental clean-up activities, Honda believes in giving back to the communities where we live and work. Find out more at csr.honda.com.